A security alarm is a system designed to detect intrusion, an unauthorized entry, into a building or area. Security alarms are used in residential, commercial, industrial, and military properties for protection against burglary (theft) or property damage, as well as personal protection against intruders. Some alarm systems serve a single purpose of burglary protection; combination systems provide both fire and intrusion protection. 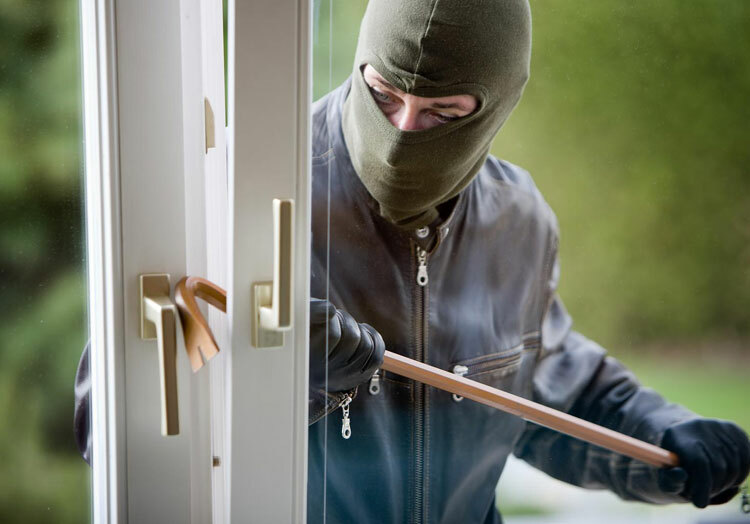 Intrusion alarm systems may also be combined with closed-circuit television surveillance systems to automatically record the activities of intruders, and may interface to access control systems for electrically locked doors. Systems may range from small, self-contained noisemakers, to complicated, multi-area systems with computer monitoring and control.